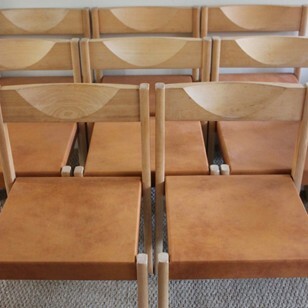 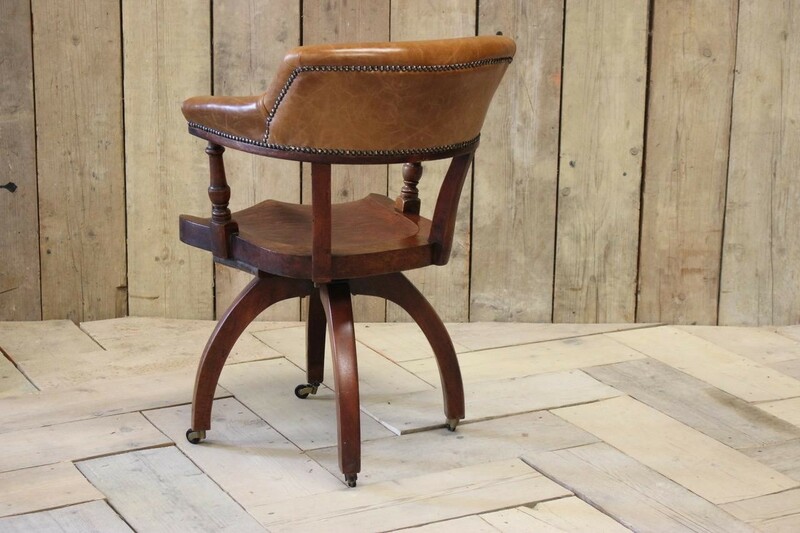 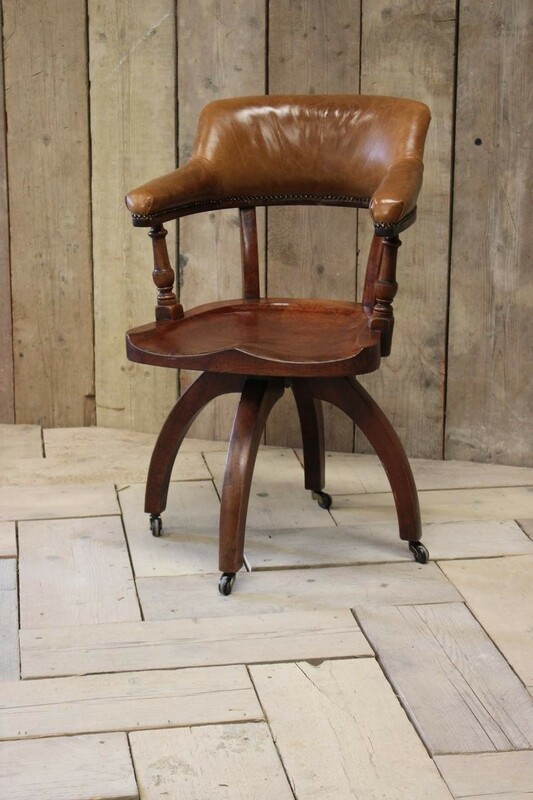 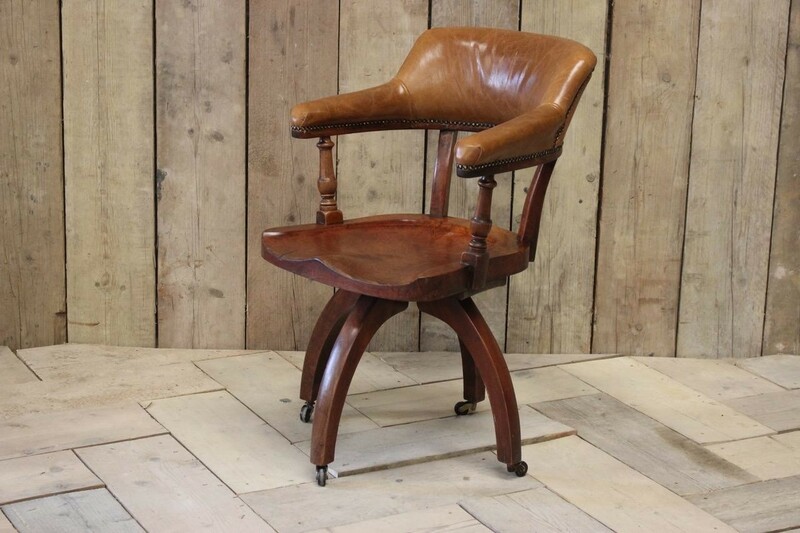 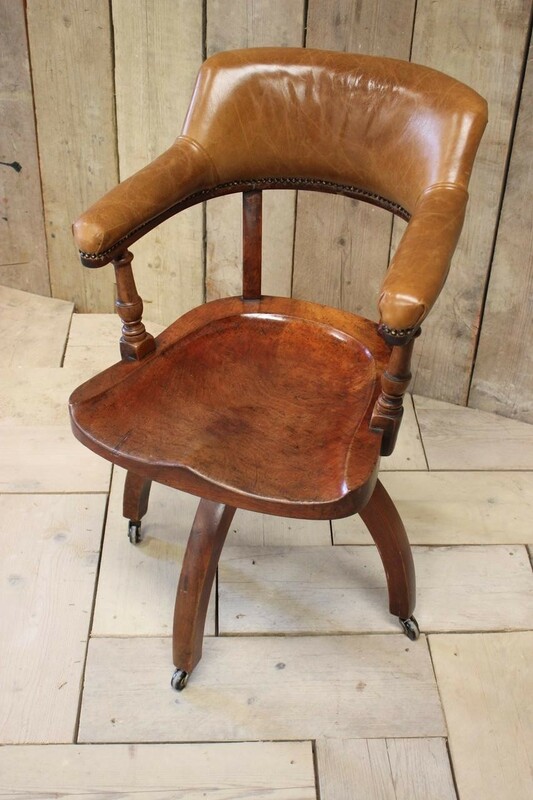 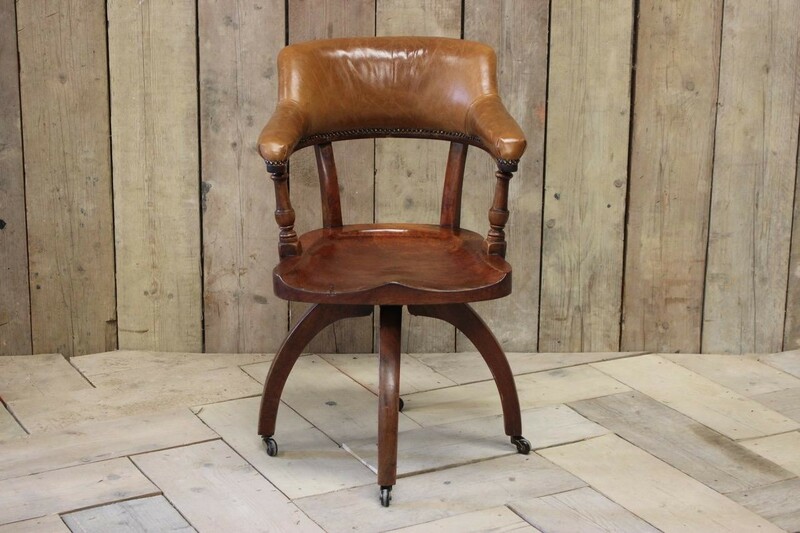 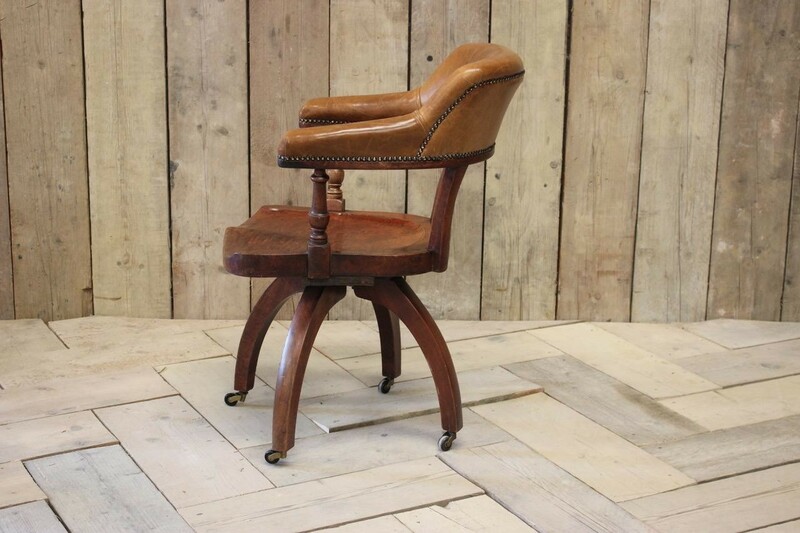 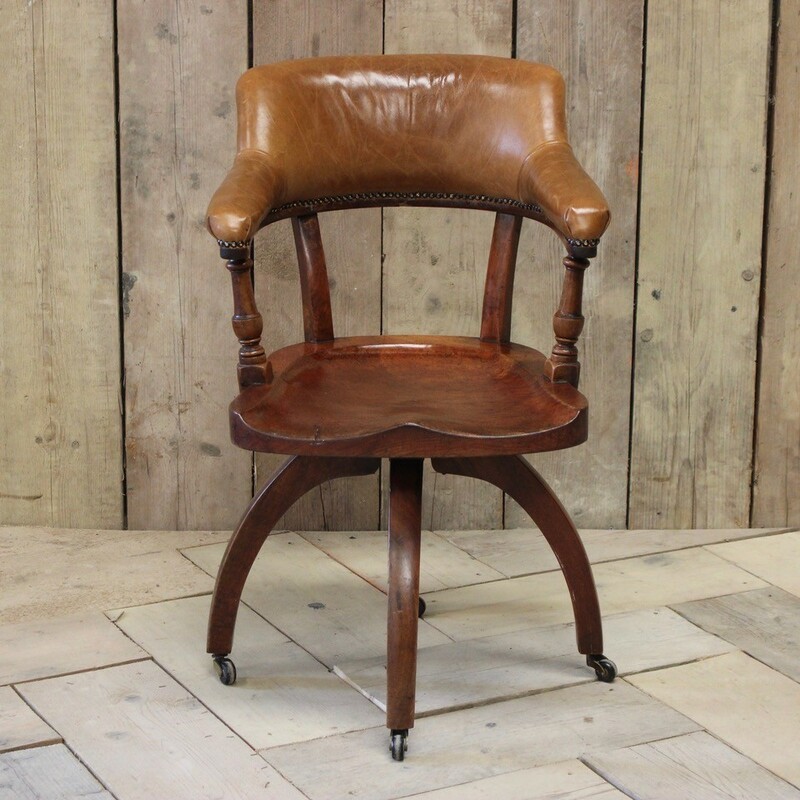 A good quality, early 19th century English walnut Swivel desk chair with brass castors and tan leather. 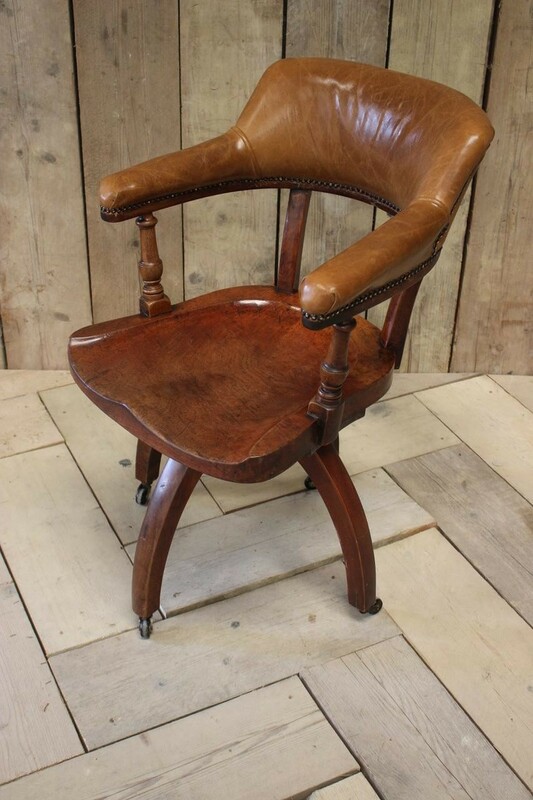 Early 20th.c. 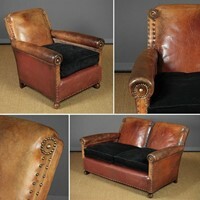 Bothy Type Leather Sofa & Armchair.